Join us for an evening of planting. Florist Monika Schleifer, owner of Buttonwood Blooms in Berks County, will walk you through the process of creating and caring for your own terrarium. Missing the gardening season and feeling the need to get your hands in some soil? Join us for an evening of planting. 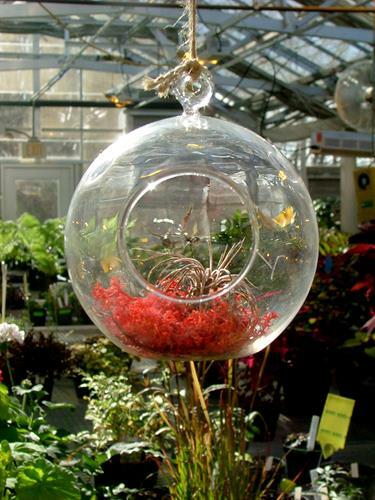 Florist Monika Schleifer, owner of Buttonwood Blooms in Berks County, will walk you through the process of creating and caring for your own terrarium. We will cover plant selection and terrarium care. Designed to engage all levels of interest and knowledge, the Ambler Arboretum Speaker Series invites regional experts to discuss topics that will inspire participants while challenging their way of thinking about horticulture. Program registration begins at 6:30 p.m., the presentation begins at 7 p.m. and Q&A follows at 8 p.m.
Wednesday, February 27, 7 to 8 p.m.
Students may attend for free (registration and materials fee is required). Discount Codes available for students and Ambler Arboretum Members. Contact kathleen.salisbury@temple.edu for more information.